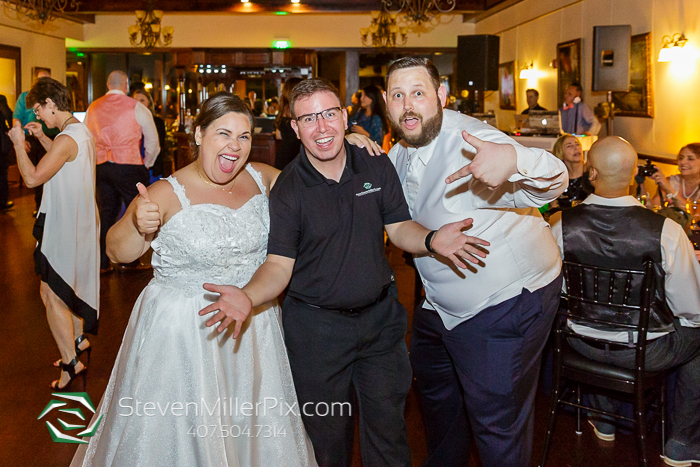 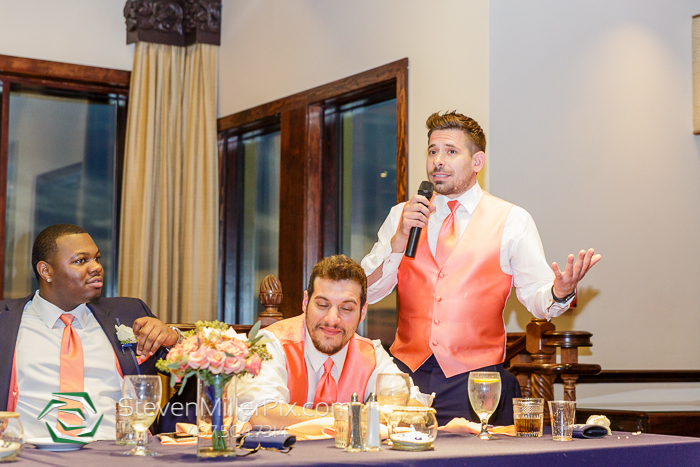 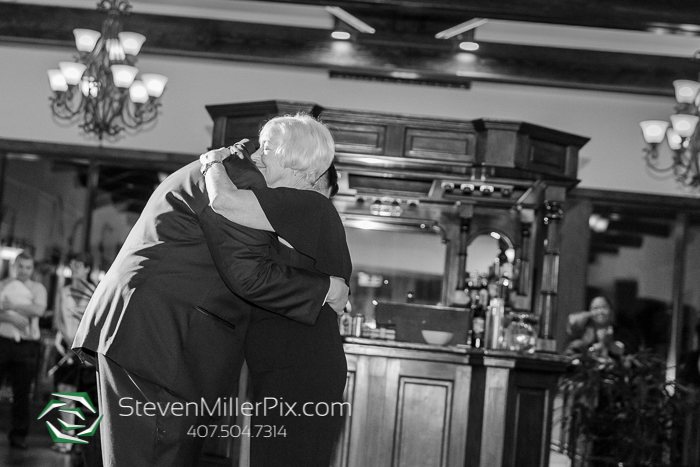 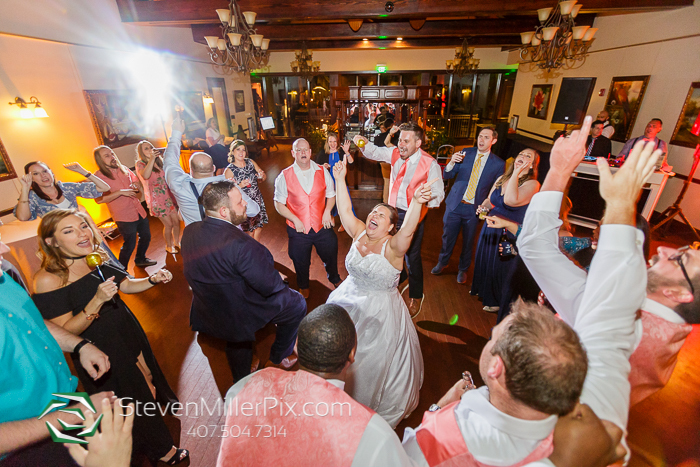 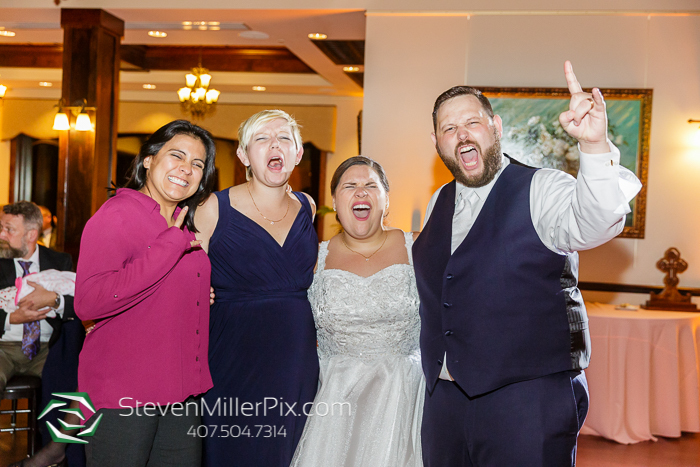 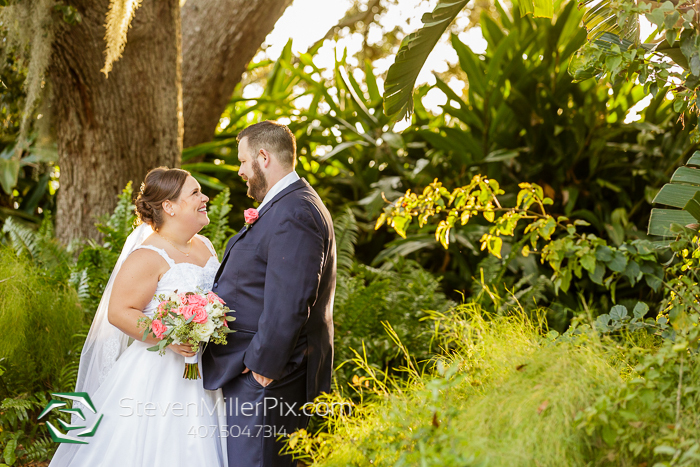 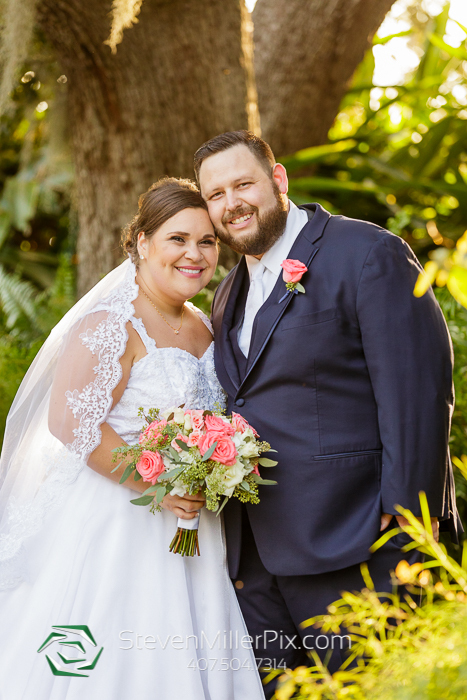 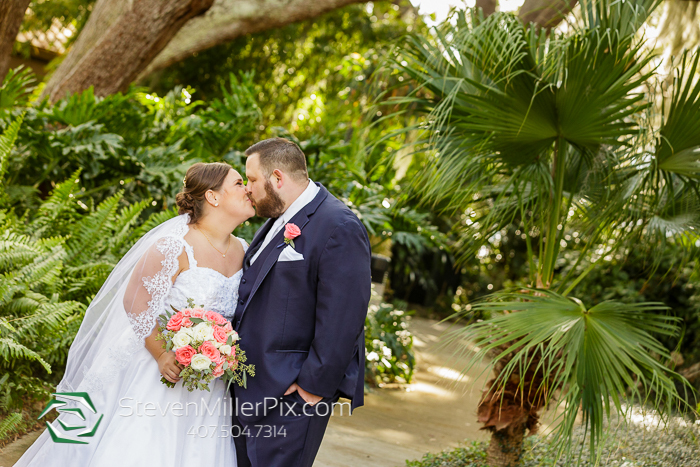 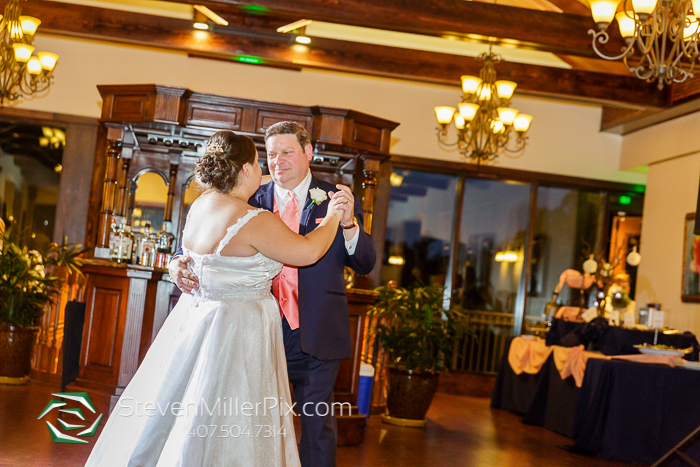 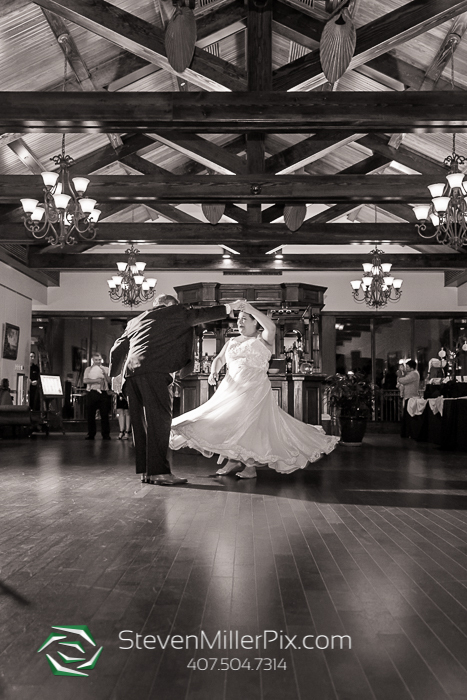 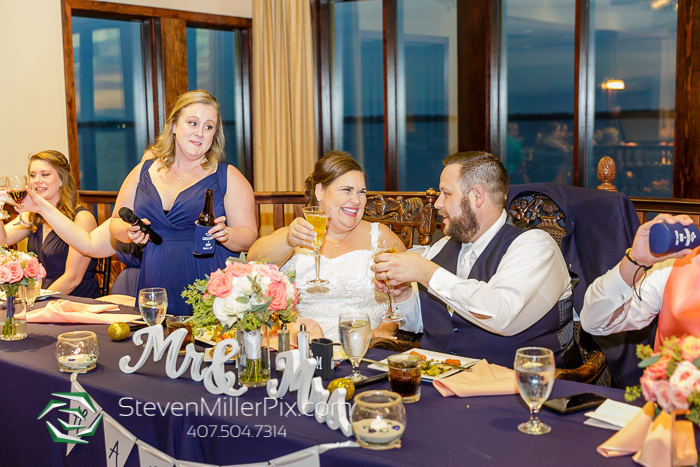 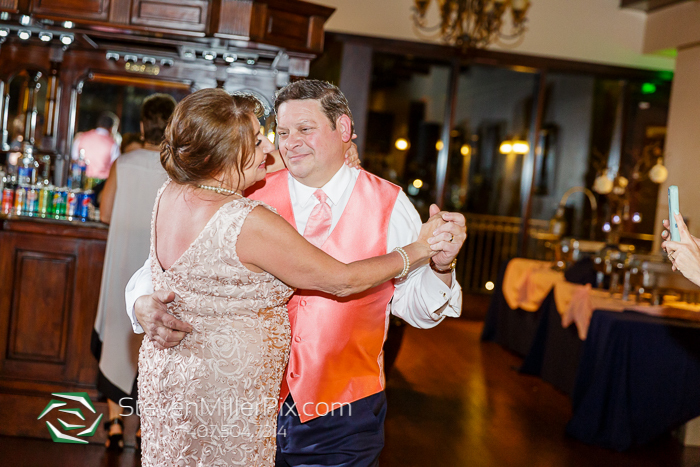 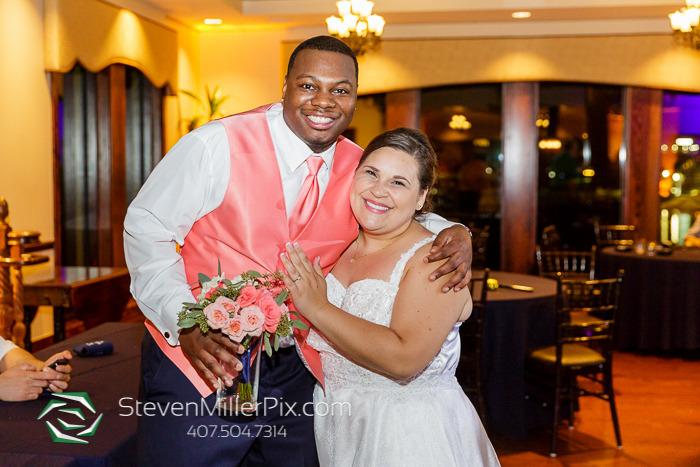 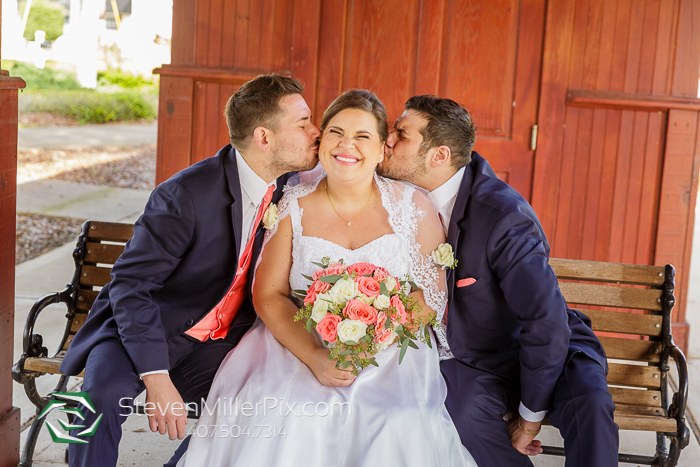 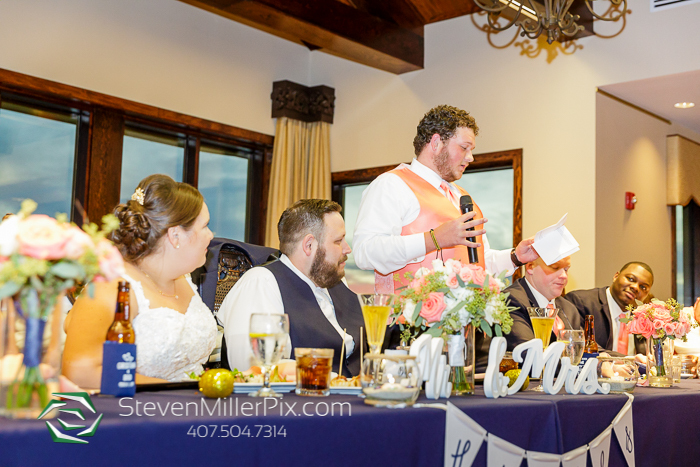 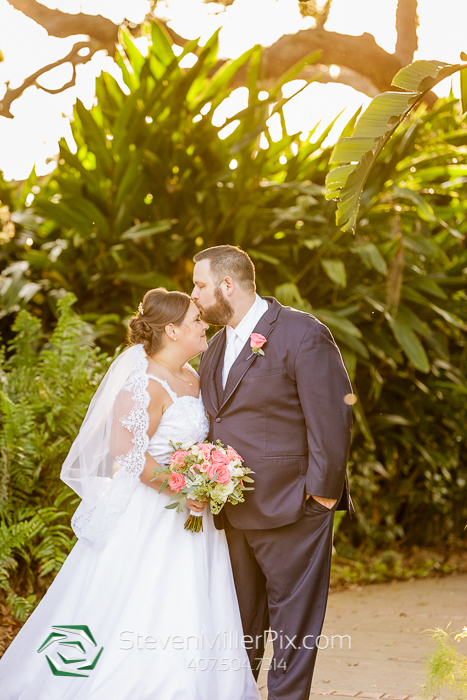 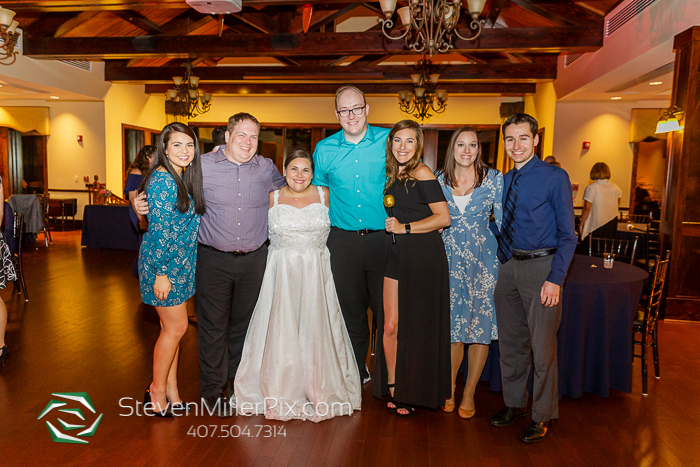 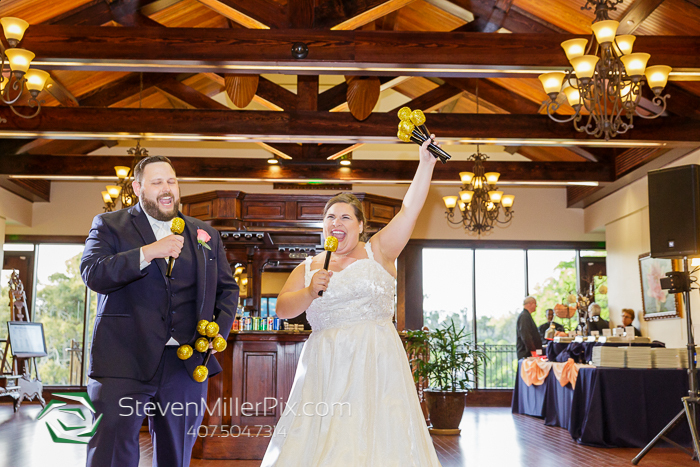 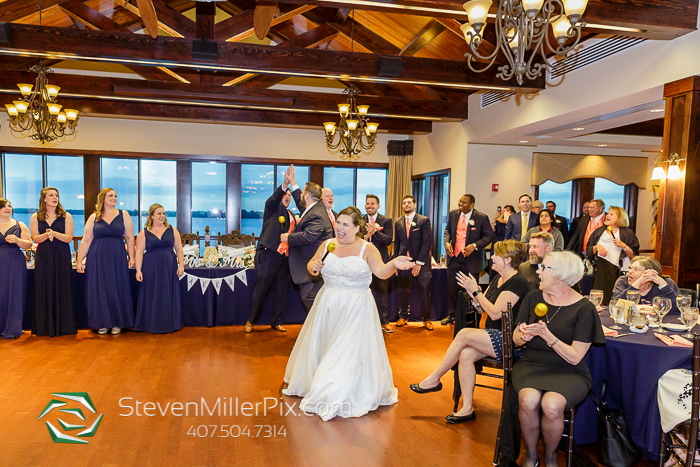 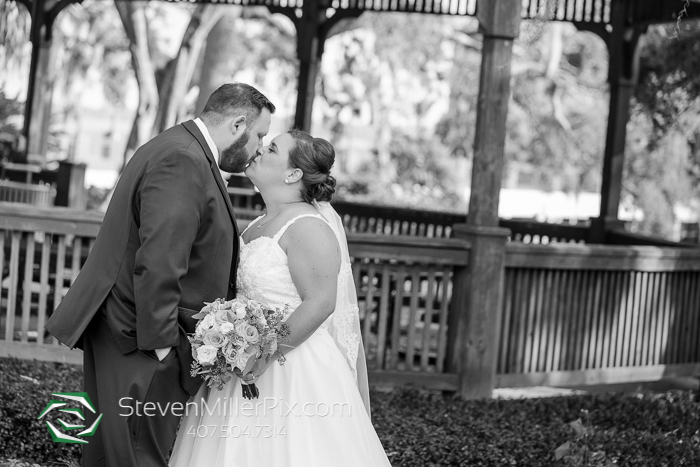 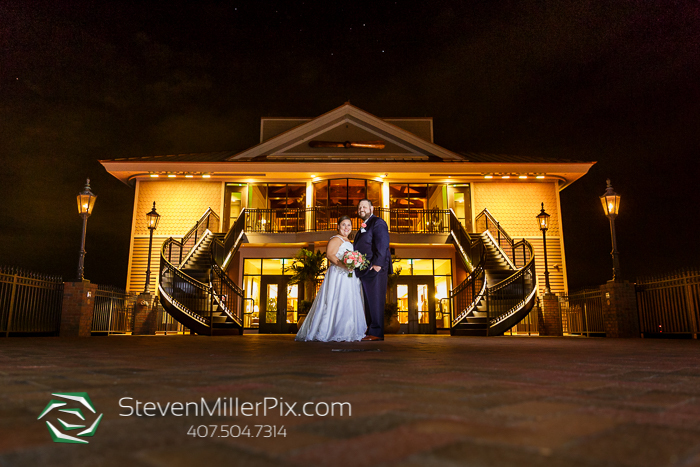 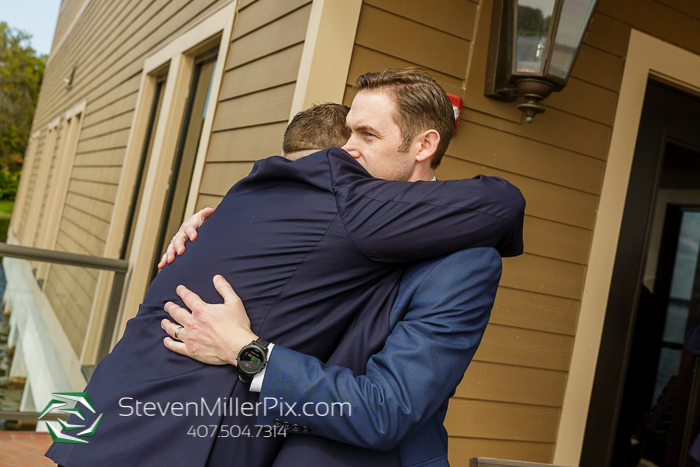 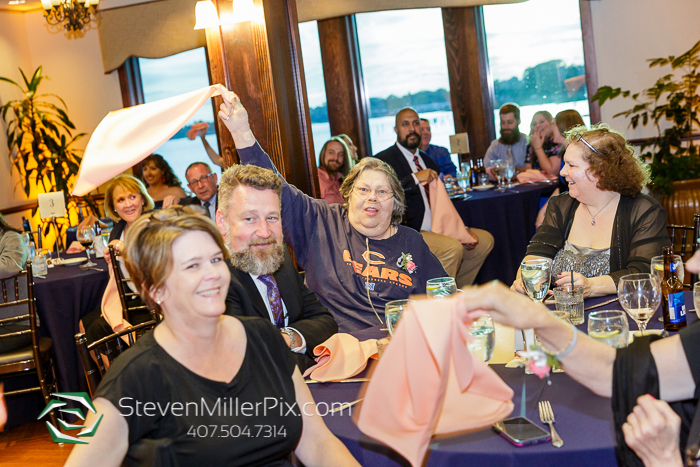 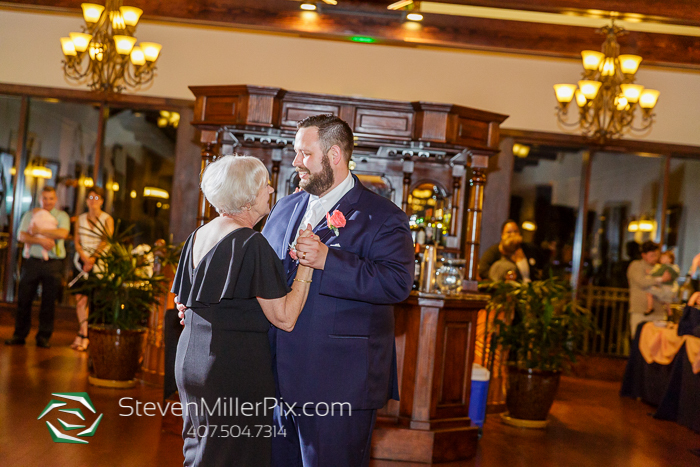 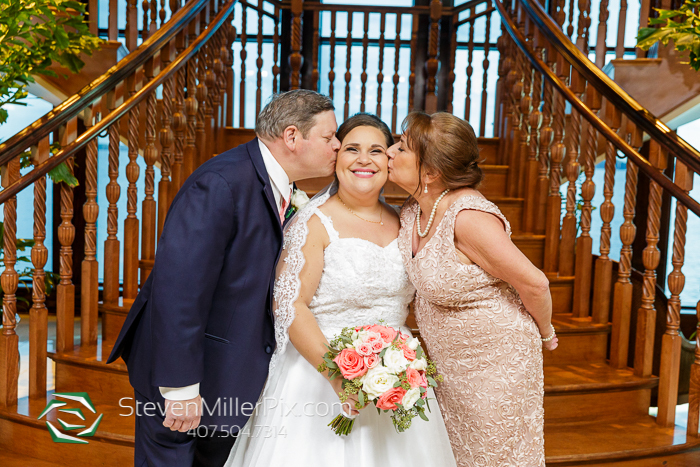 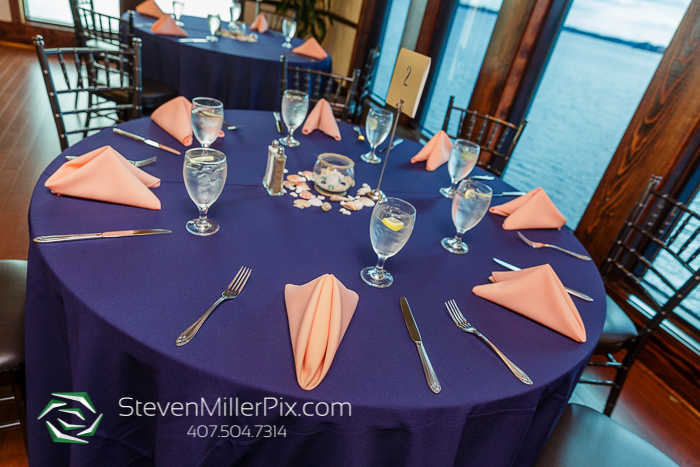 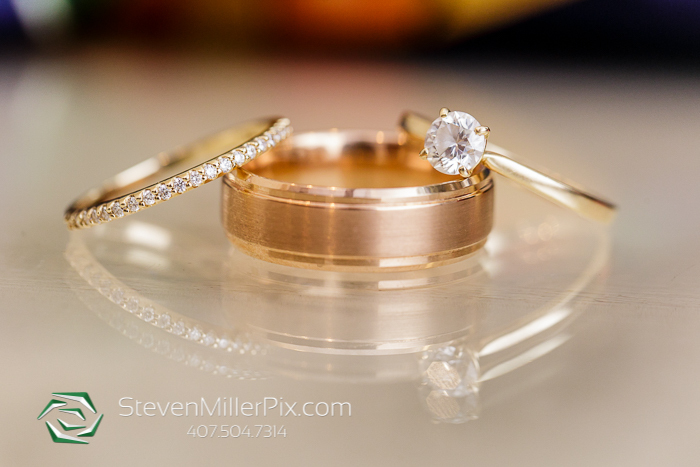 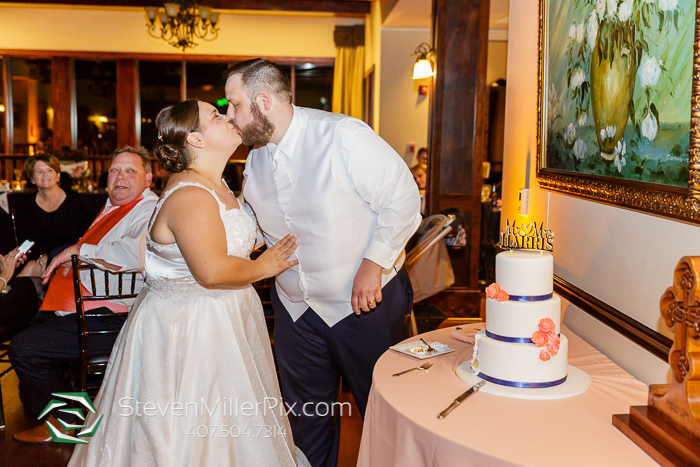 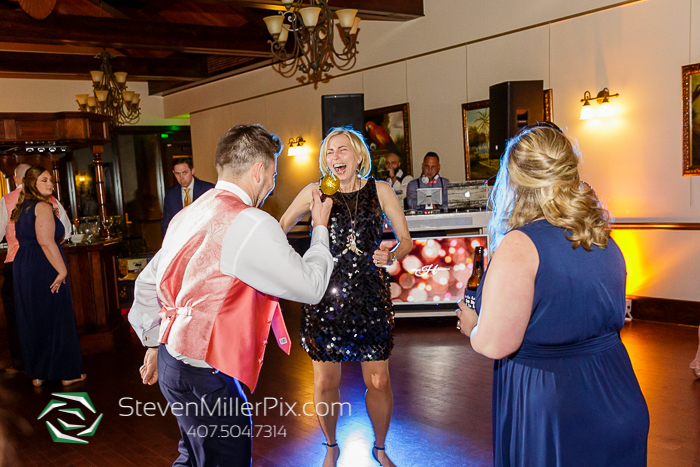 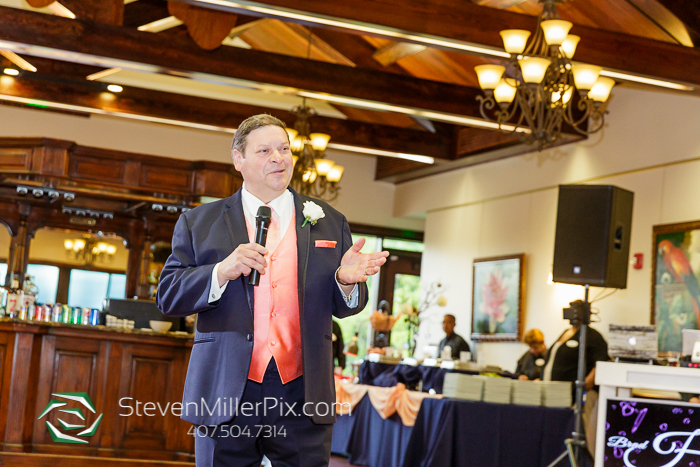 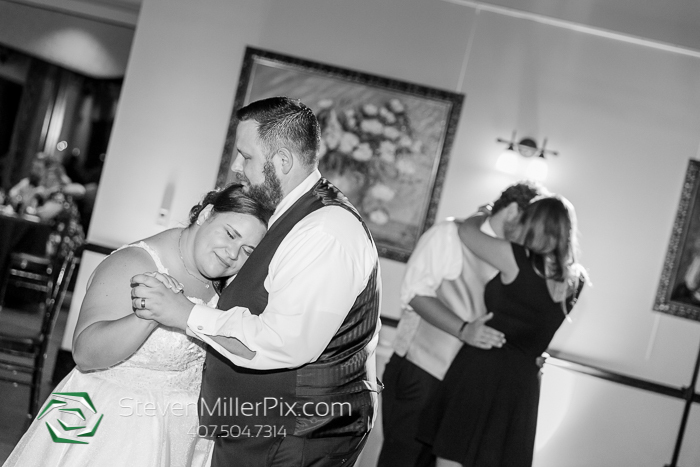 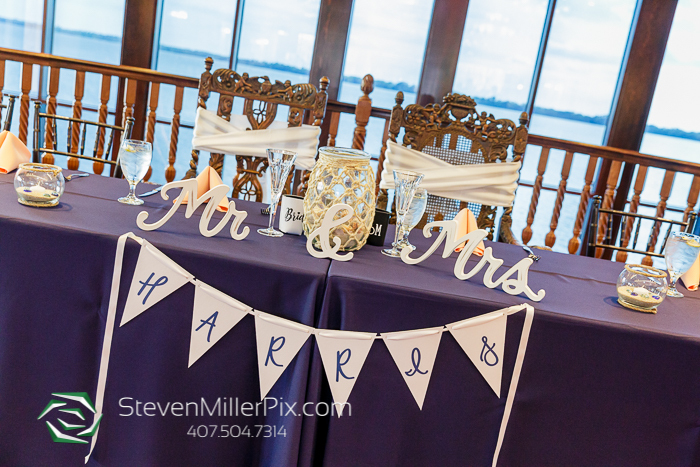 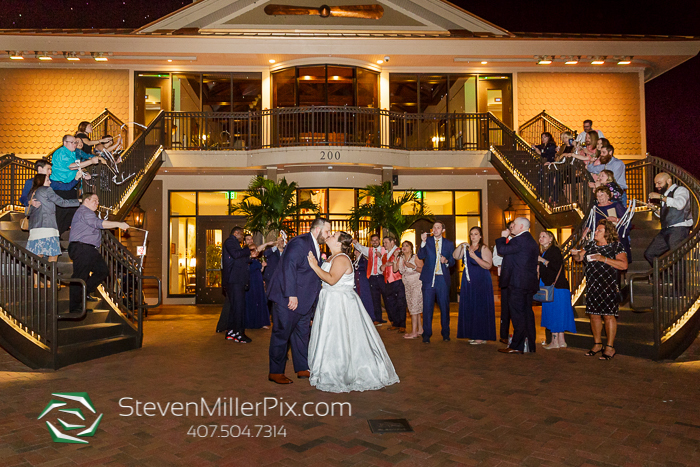 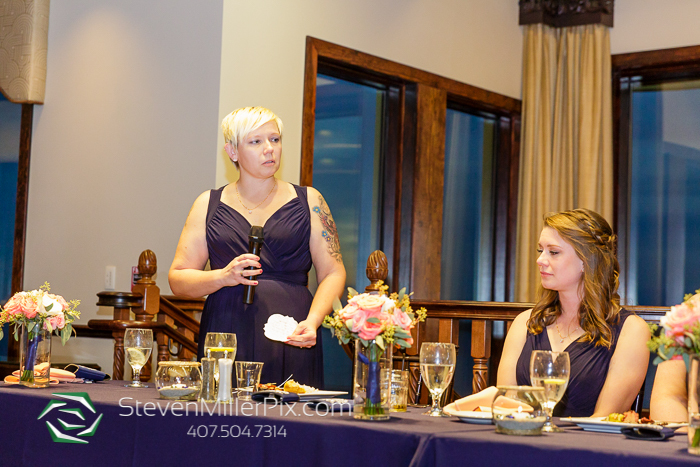 Wedding Photographer Michael and assistant Alice recently captured the wedding of a great couple, Christiana and Brad at Tavares Pavilion on the Lake! 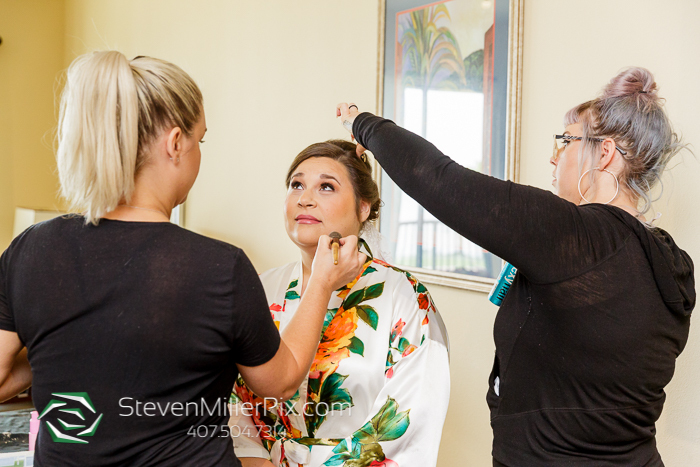 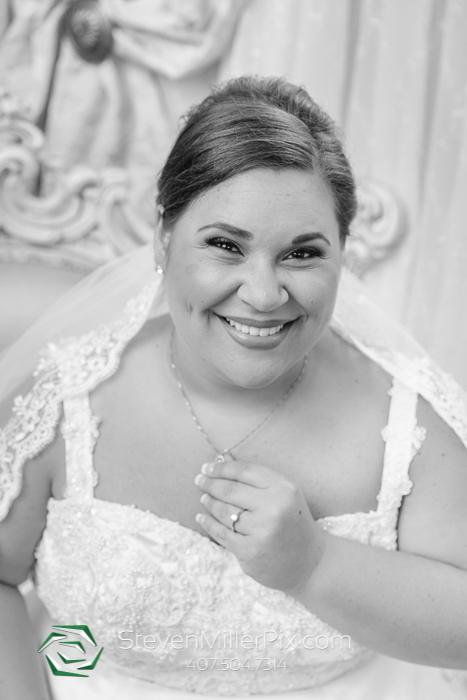 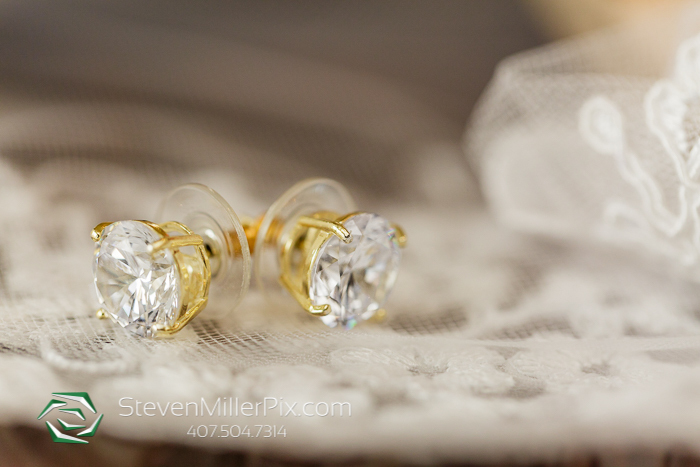 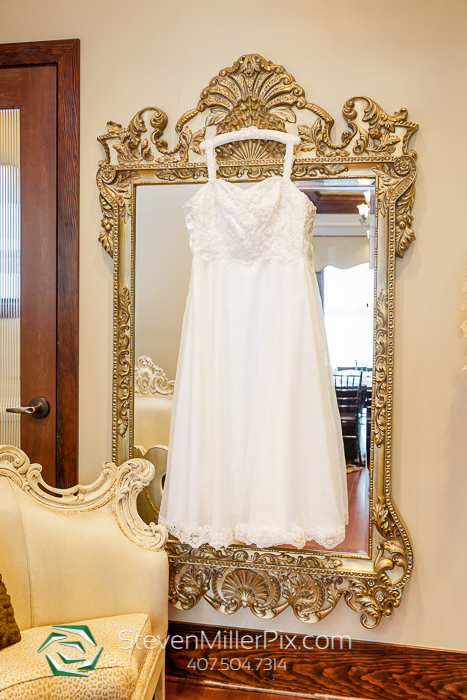 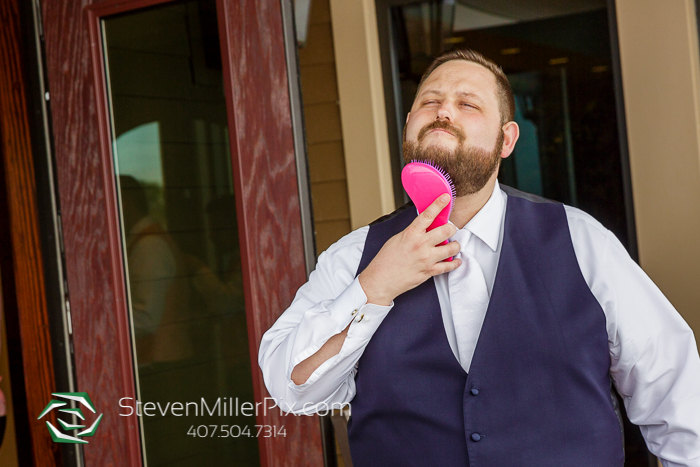 Michael began the day capturing the bridal preparations of Christiana and her bridal party at the Key West Resort on Lake Dora as they were getting their hair and make-up done by Flawless Faces by Alicia! 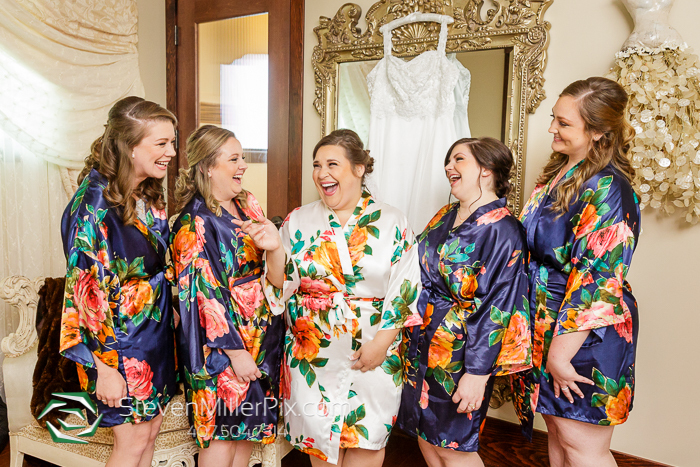 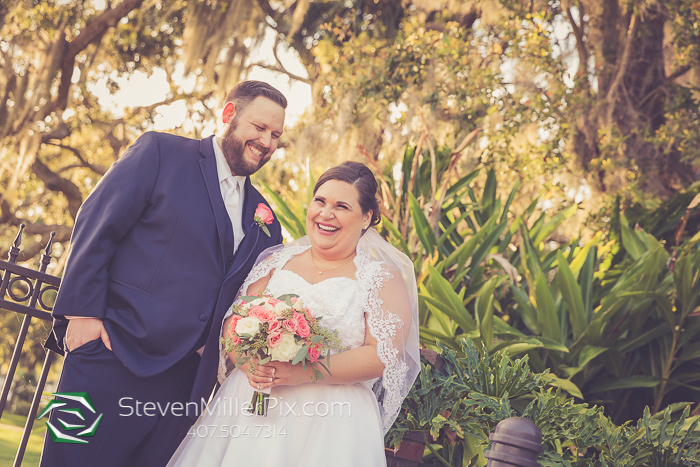 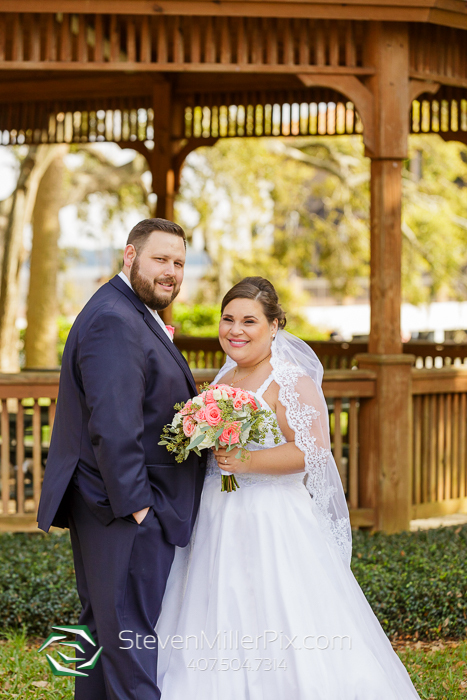 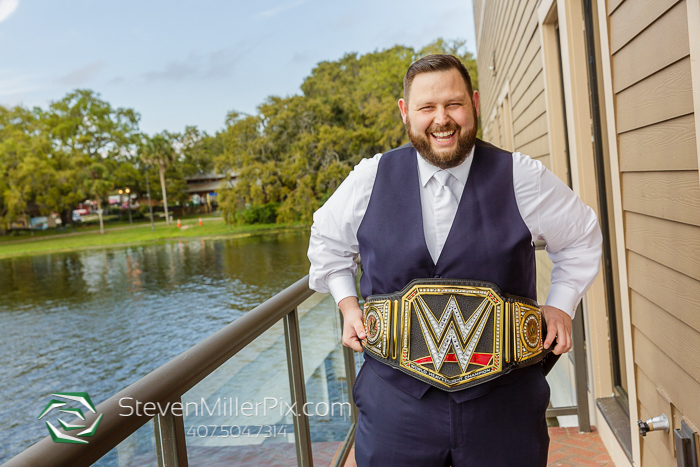 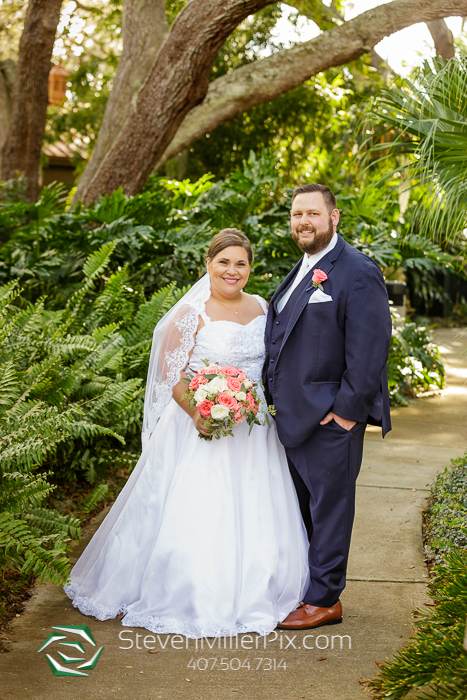 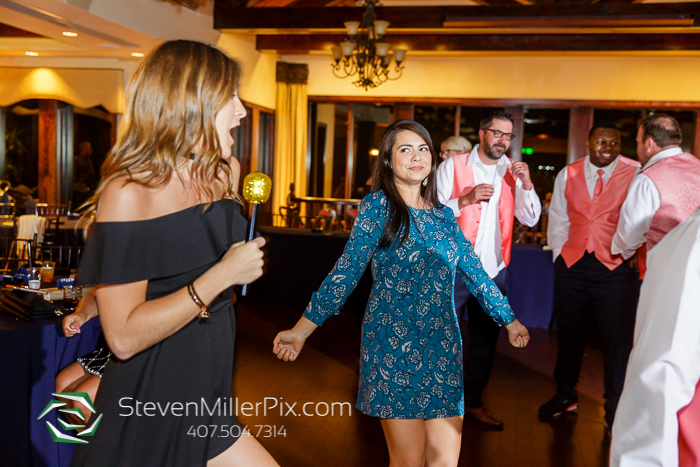 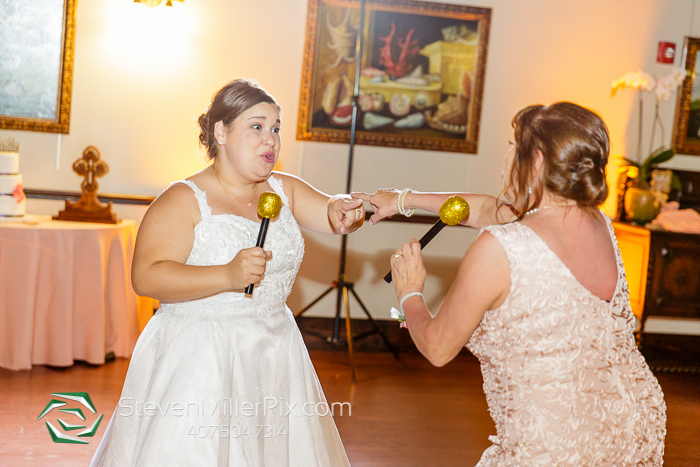 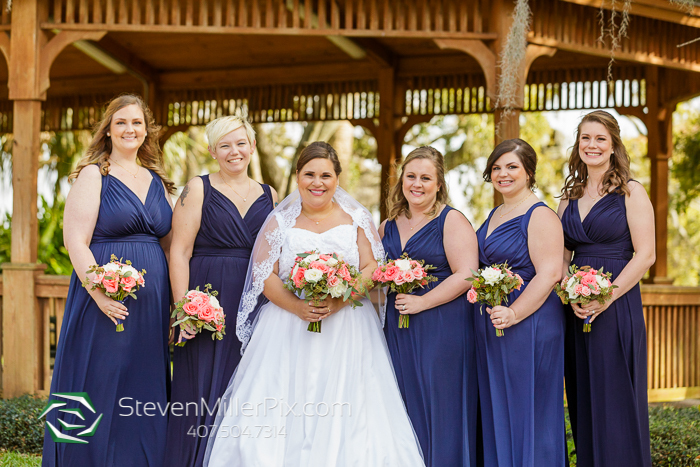 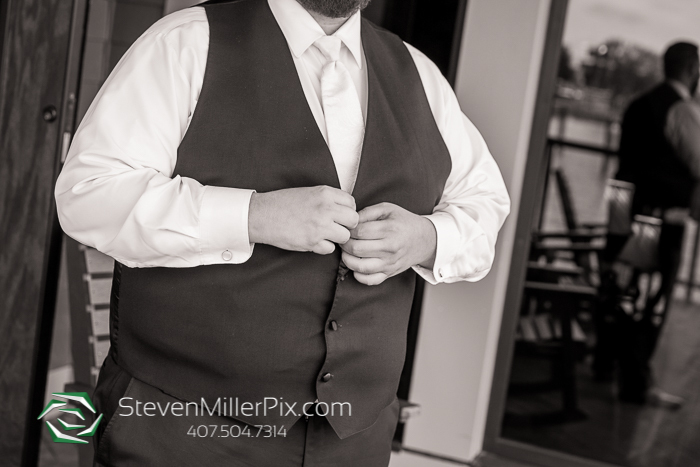 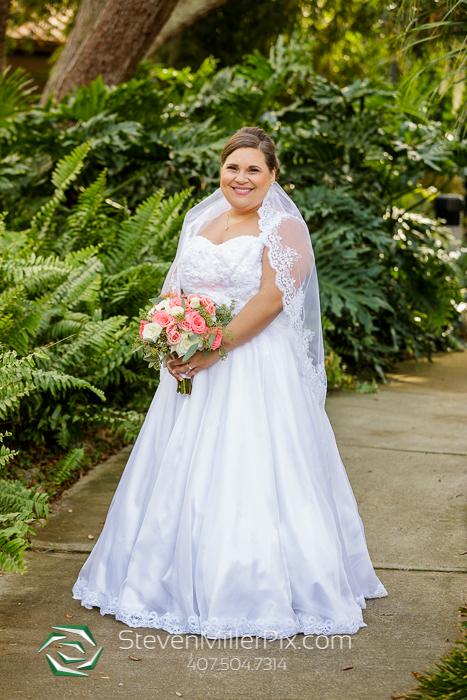 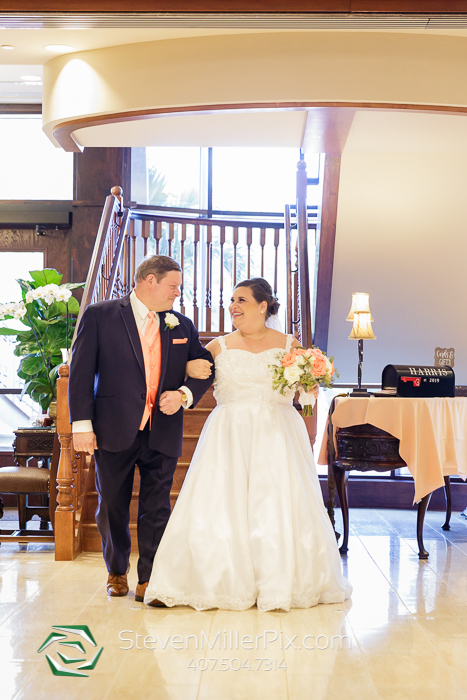 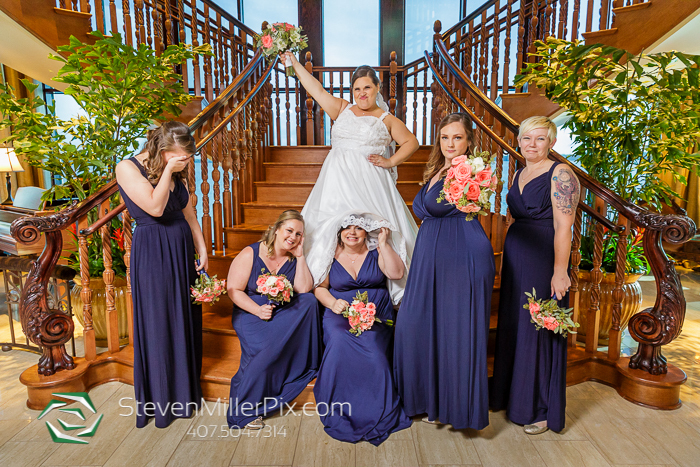 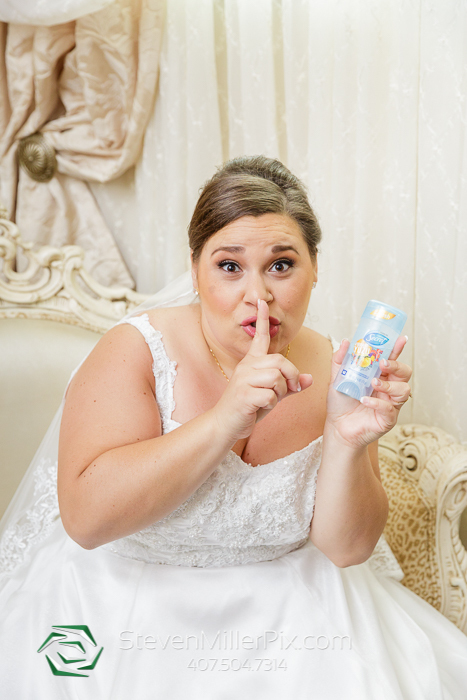 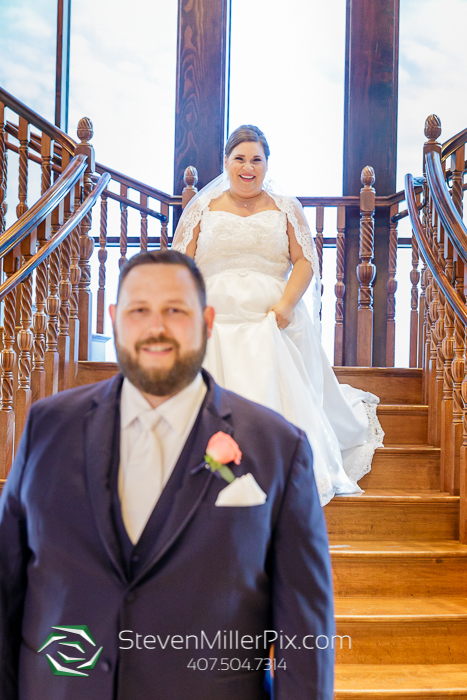 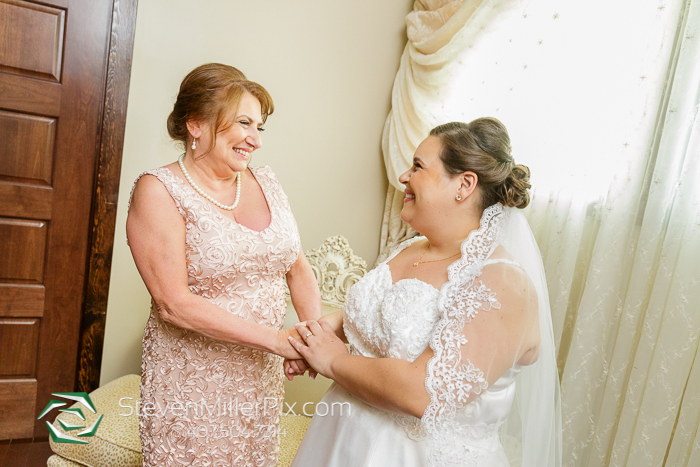 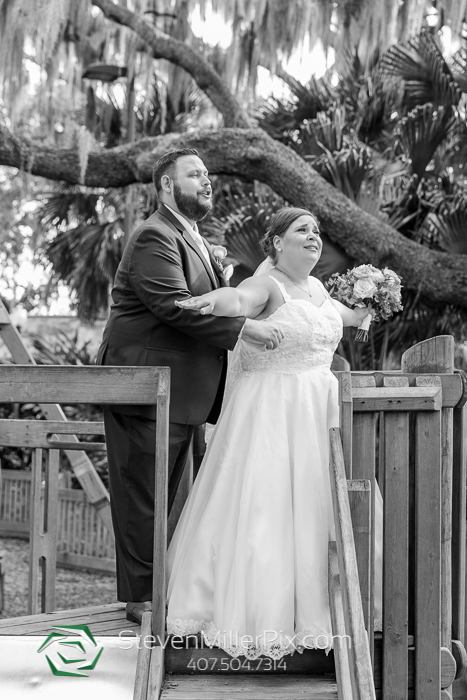 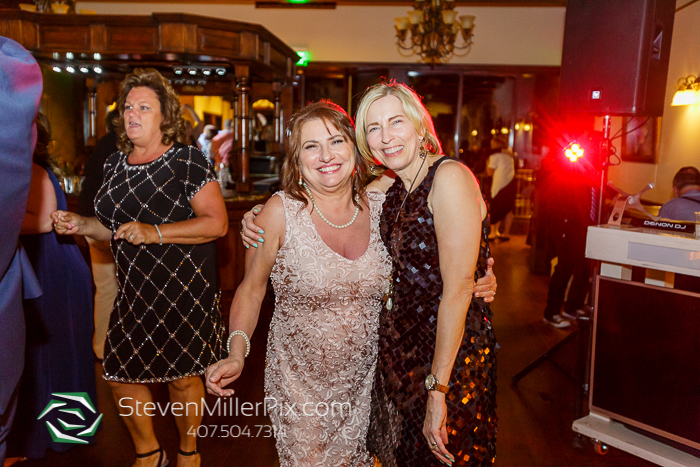 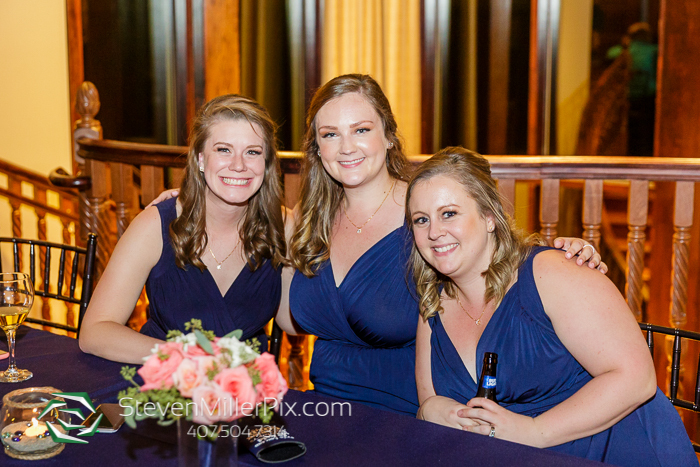 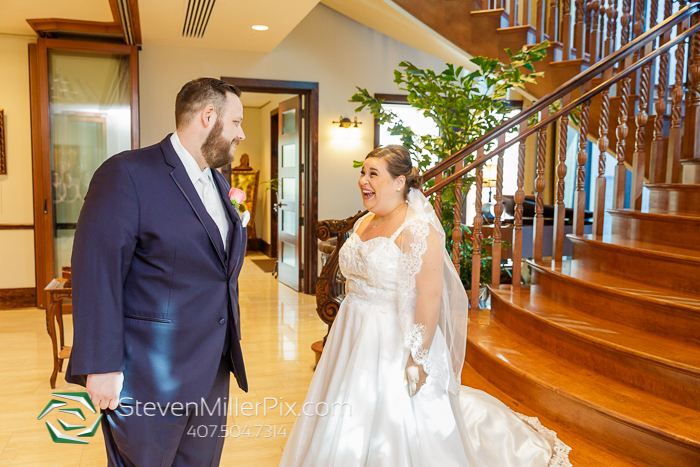 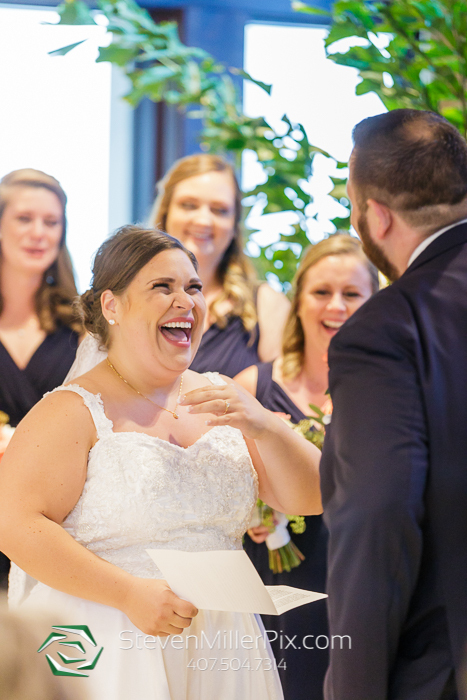 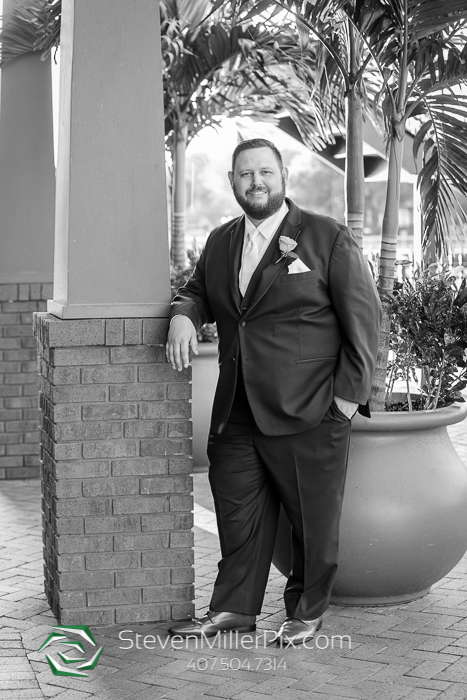 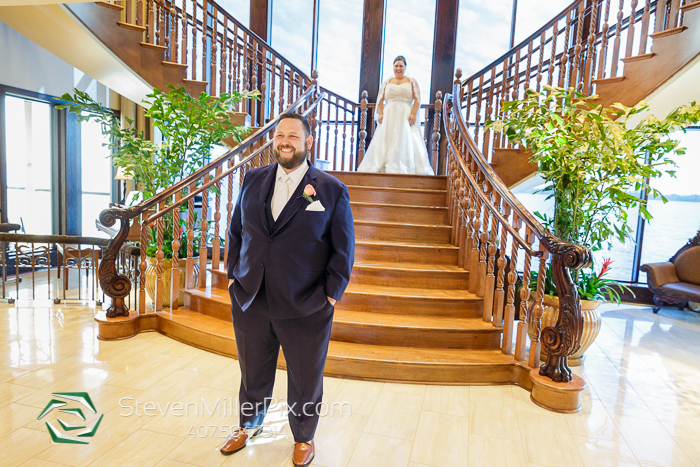 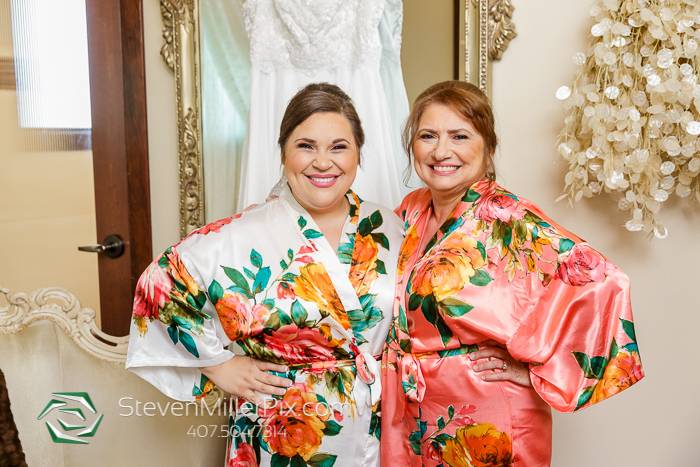 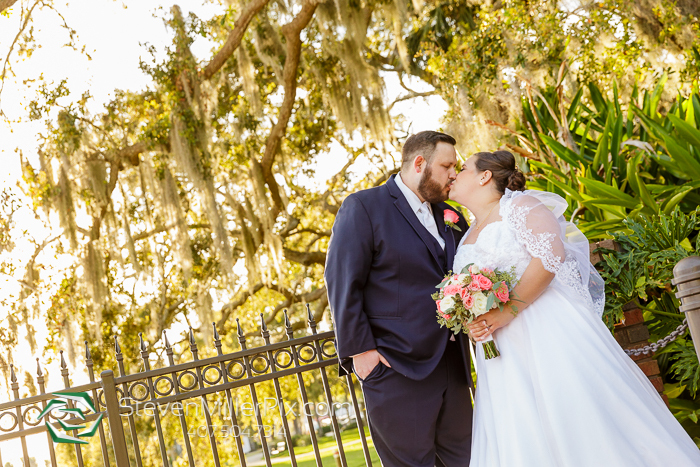 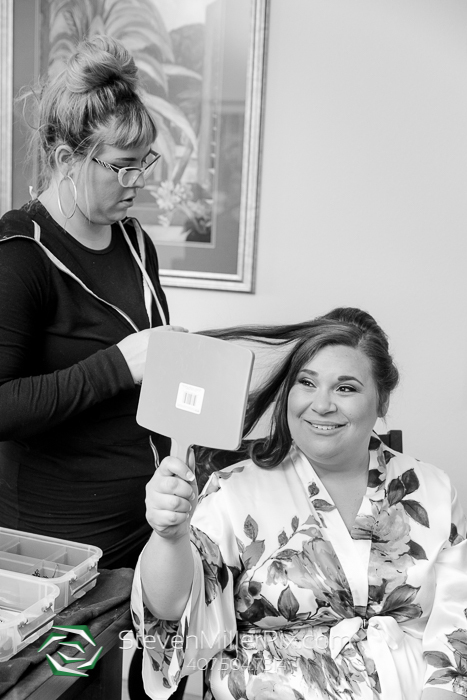 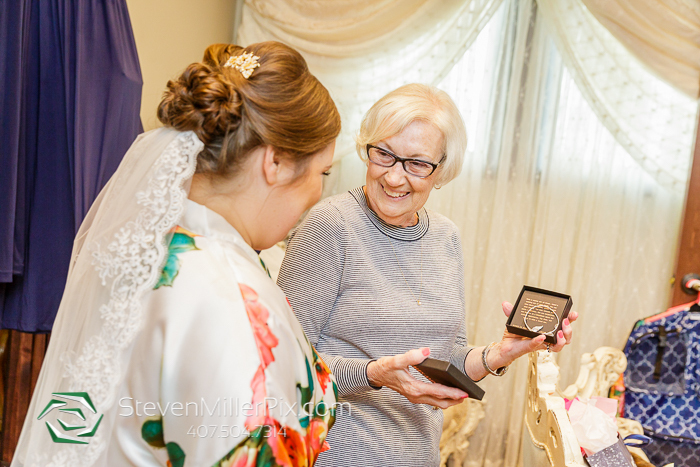 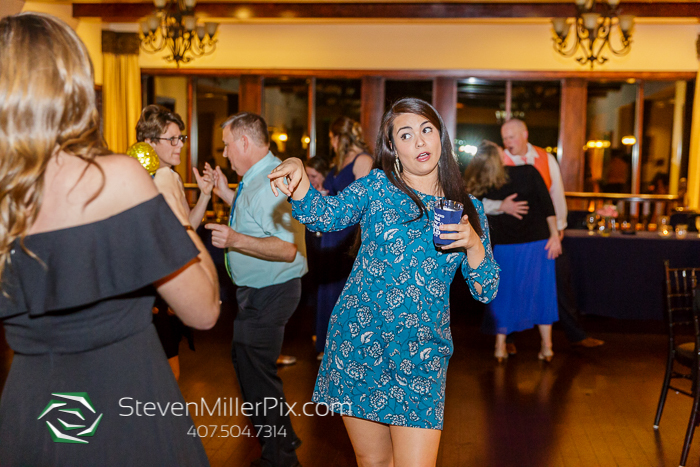 Once Christiana and her ladies were ready, we headed to the Tavares Pavilion on the Lake to get her into her wedding gown for her first look with Brad! 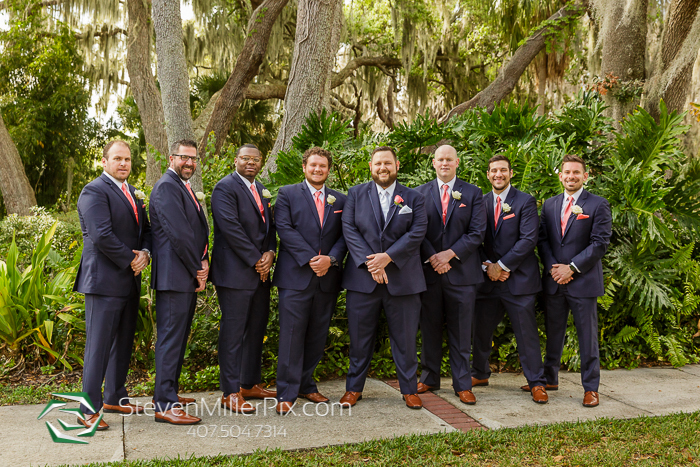 While Christiana got ready, we snuck downstairs to get some shots of Brad and his groomsmen! 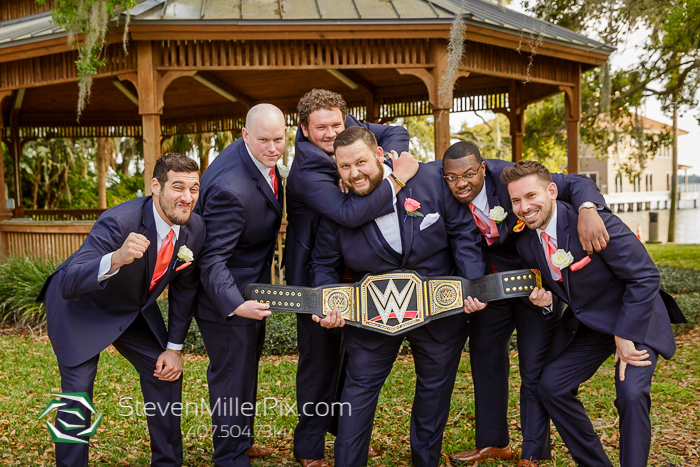 When we arrived Brad and his WWE belt were ready for their close-ups! 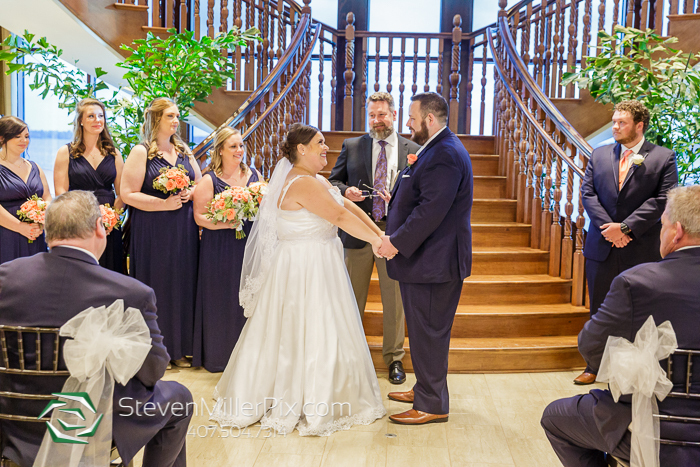 Once we got some great shots of the wrestling champion we headed to the end of the grand staircase to await Christiana’s arrival for the first look! 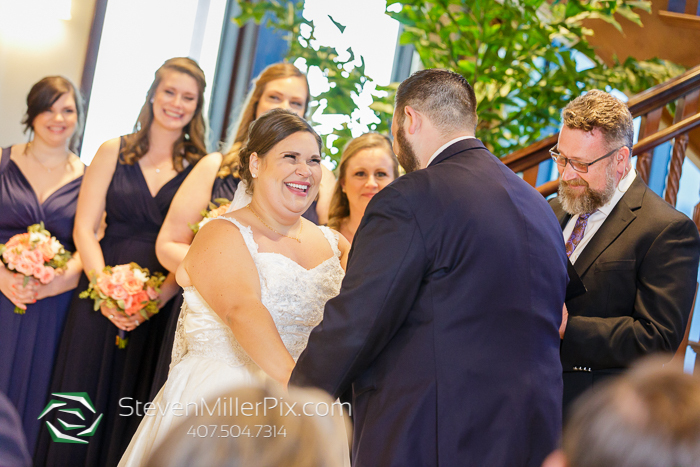 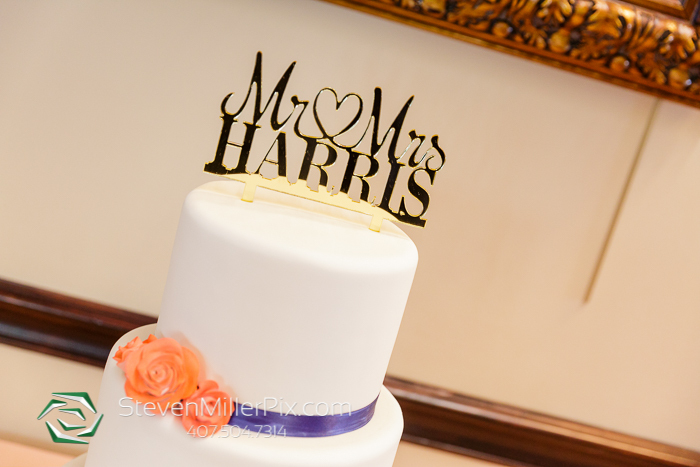 This was such a great first look both Christiana and Brad; they seriously could not wait to see each other!! 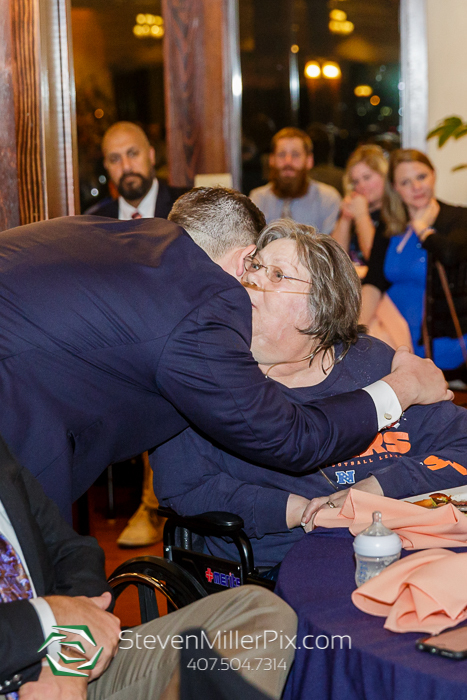 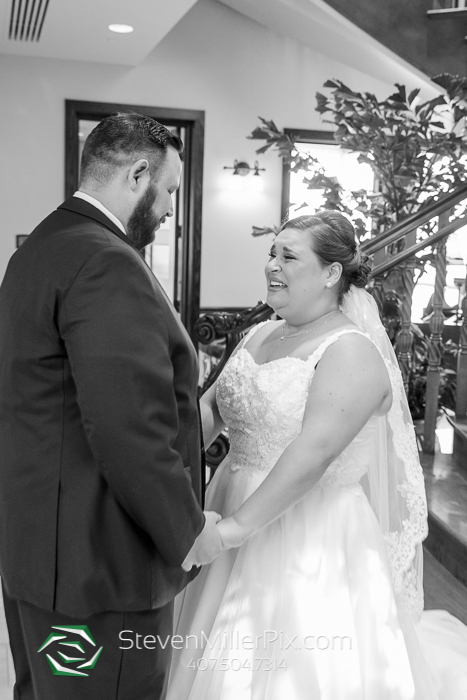 It was such an emotional encounter with lots of happy tears! 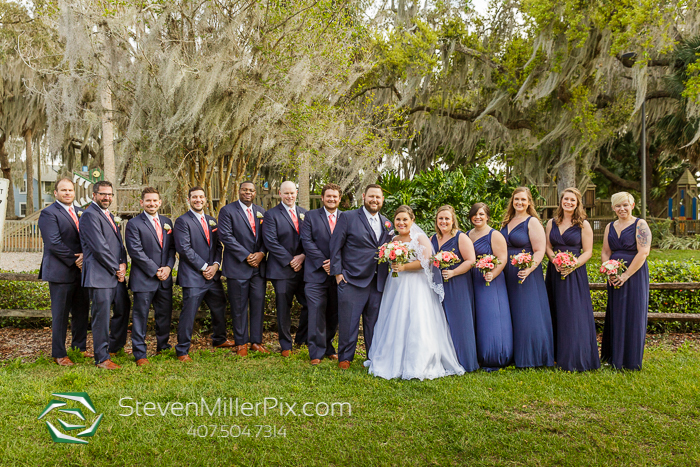 Afterwards, we headed outside to take some bridal party portraits and personal portraits of the couple before we headed back inside for their wedding ceremony! 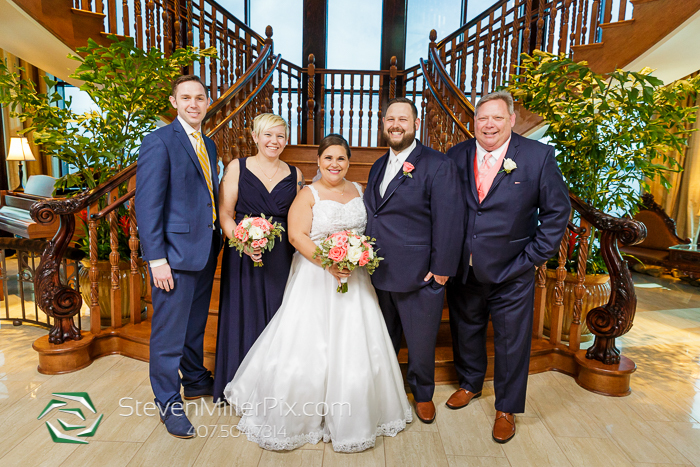 The ceremony was held on the main staircase of the Tavares Pavilion and it was officiated by a family friend Tom Harris! 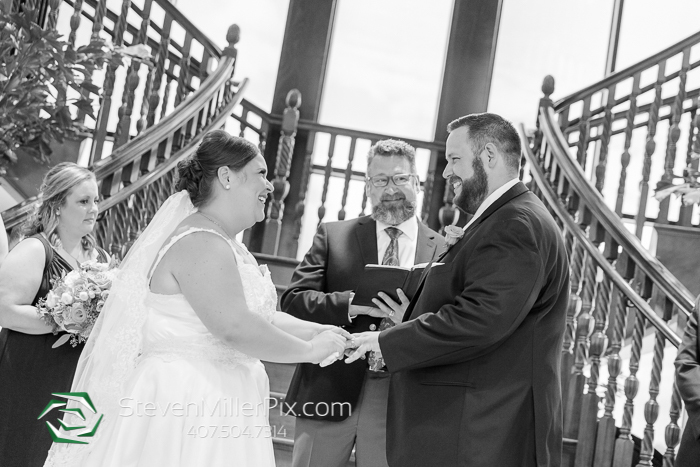 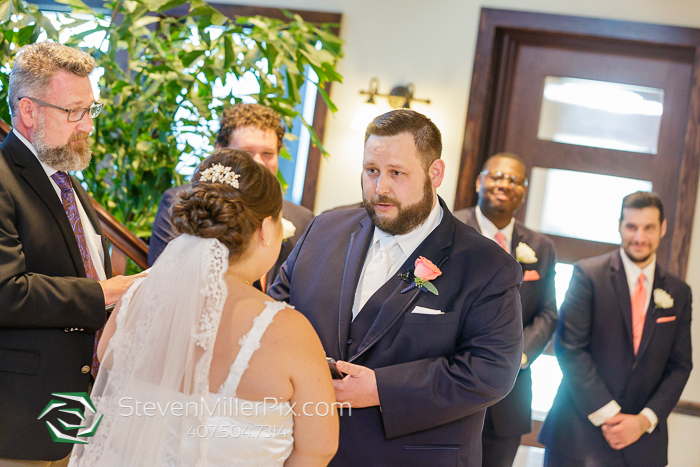 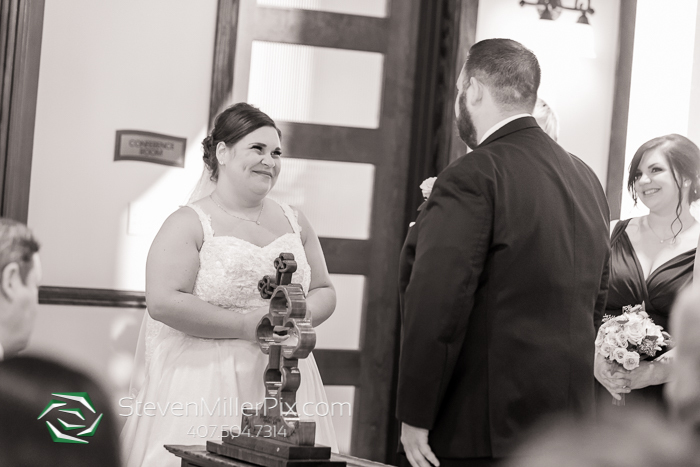 Christiana and Brad read their vows to one another which were followed by the ring exchange and the much-awaited kiss! 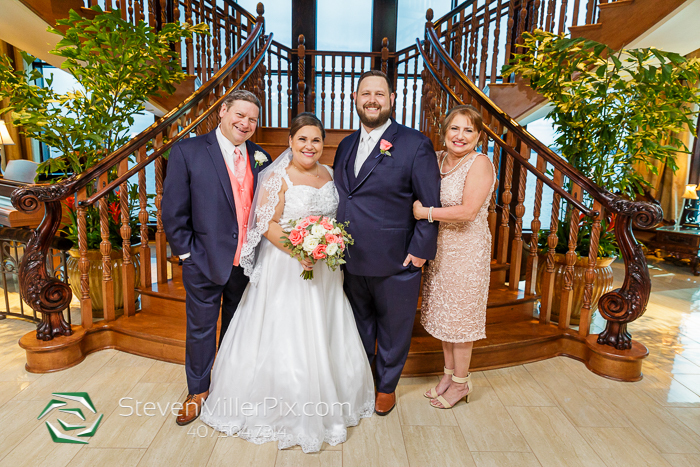 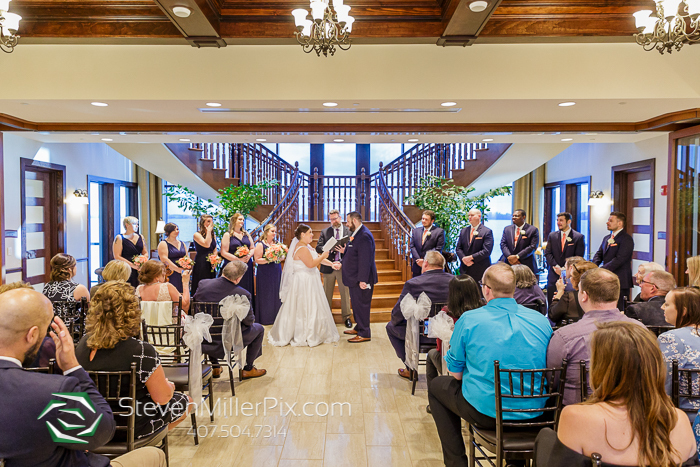 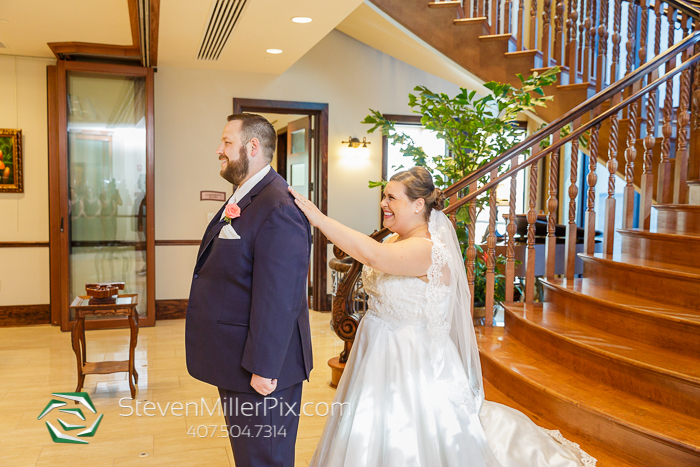 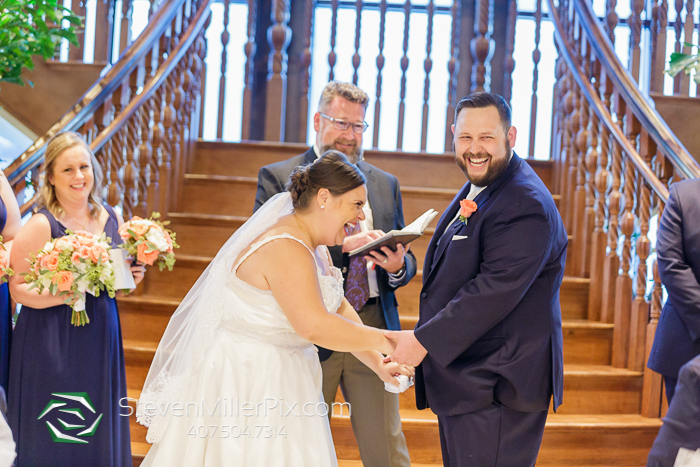 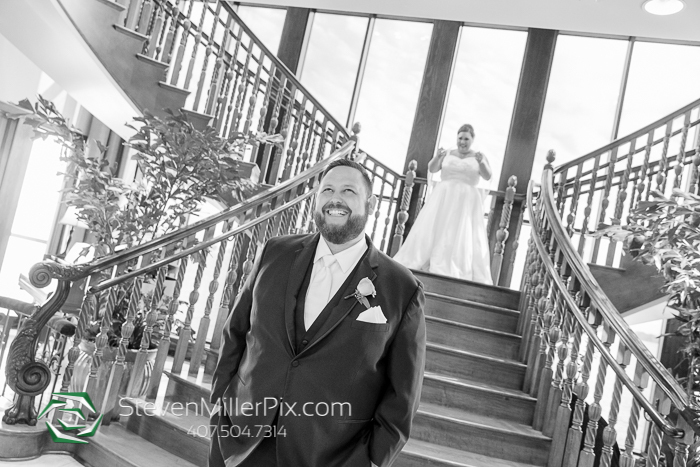 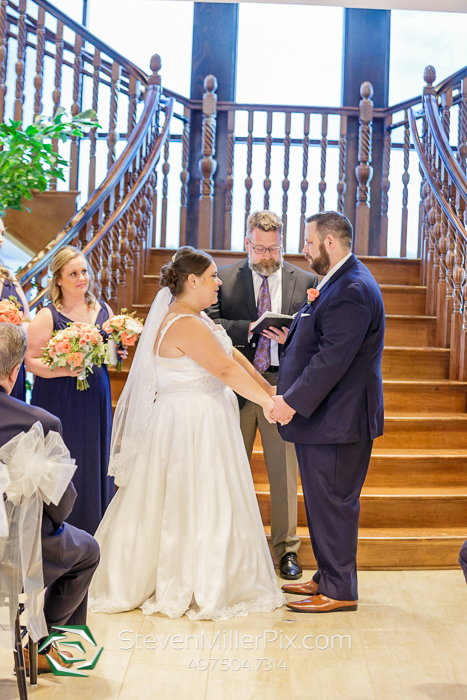 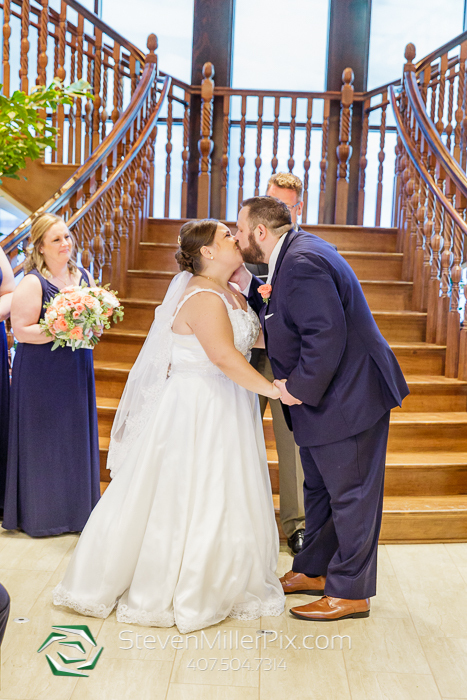 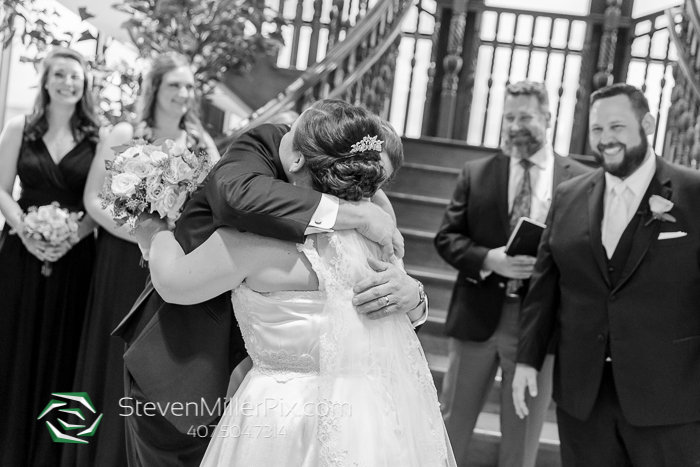 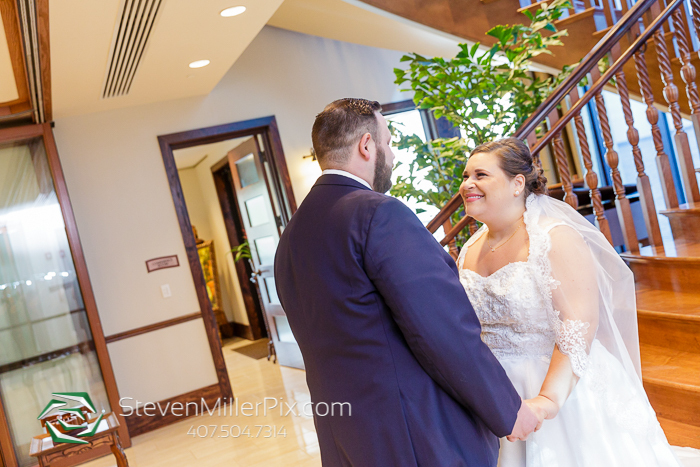 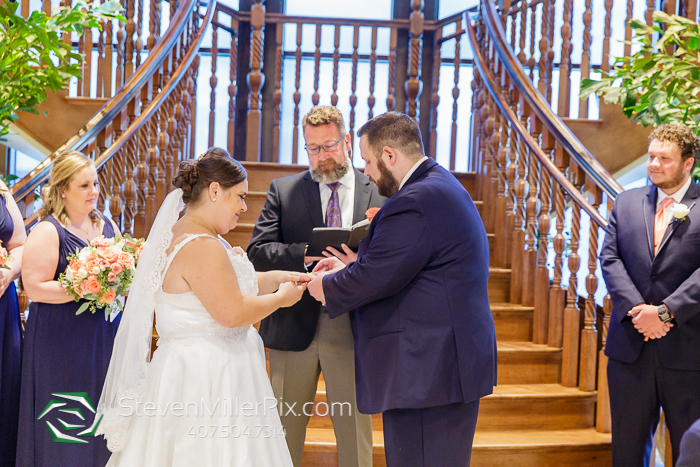 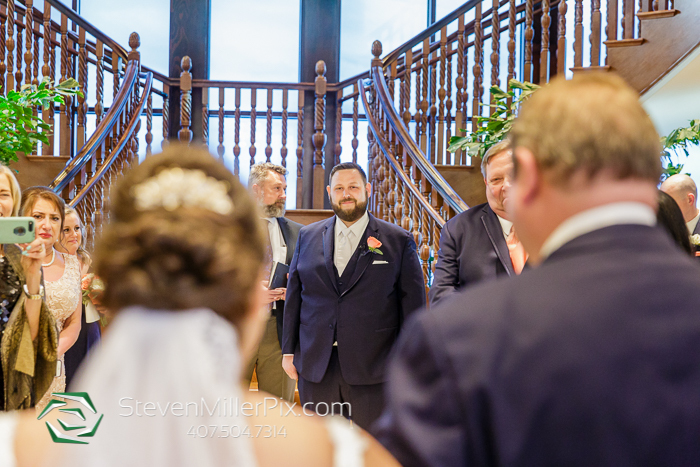 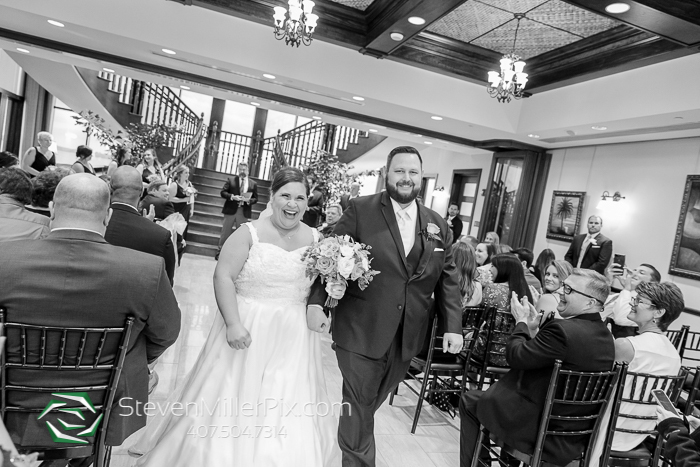 Once the ceremony was over, we quickly began to gather the family for portraits by the main staircase then headed outside to capture some bridal pictures throughout Wooton Park before we headed back inside for the reception! 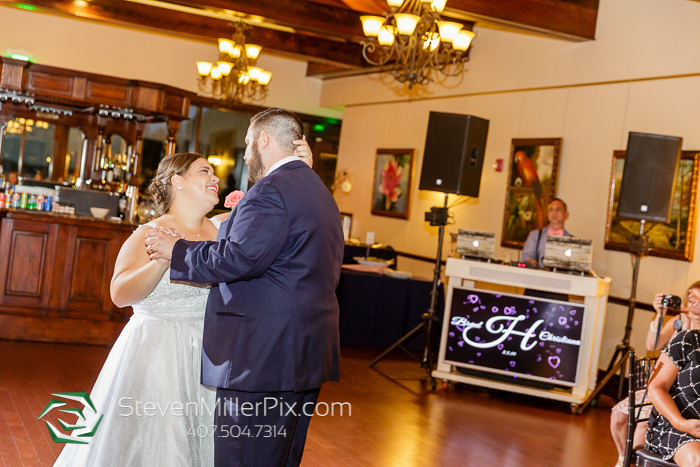 Subsonic Event DJ did a fantastic job with the lighting and the tunes that kept the dance floor full before and after the evening ended! 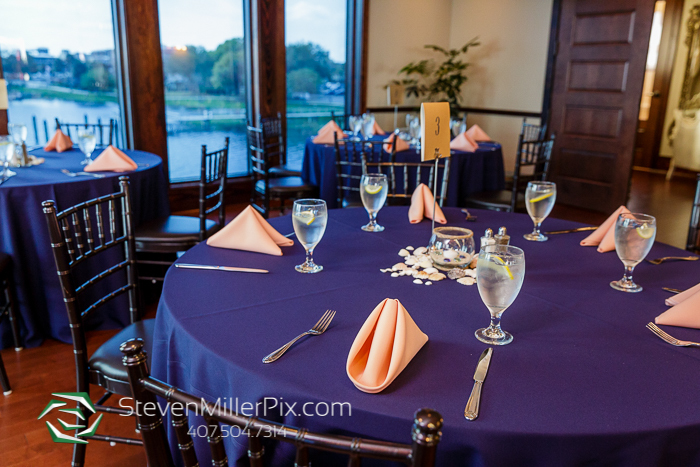 John Michael Exquisite Wedding and Catering provided the great food and table linens! 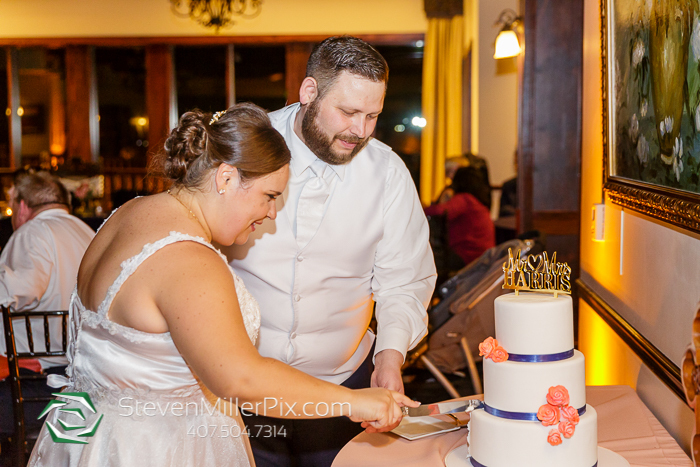 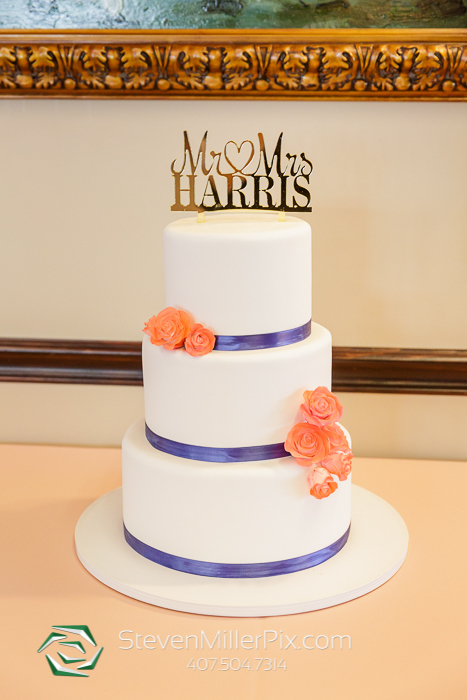 The cake was created by It’s Tasty Too! 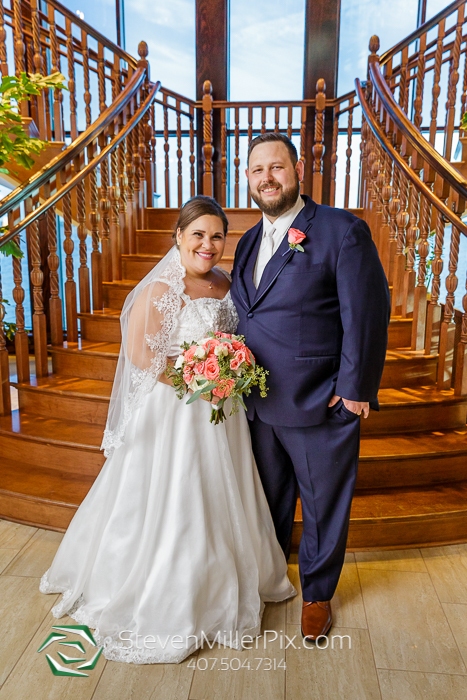 which looked beautiful and sweet among all the decorations and floral that were provided by Lavender and Lace Wedding Florist! 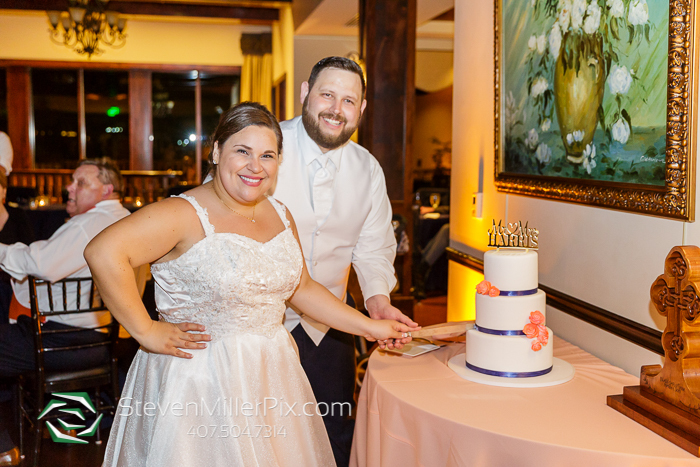 After the cake cutting, we took the couple outside for some night-time portraits, and once we were done it was time to say farewell to our couple! 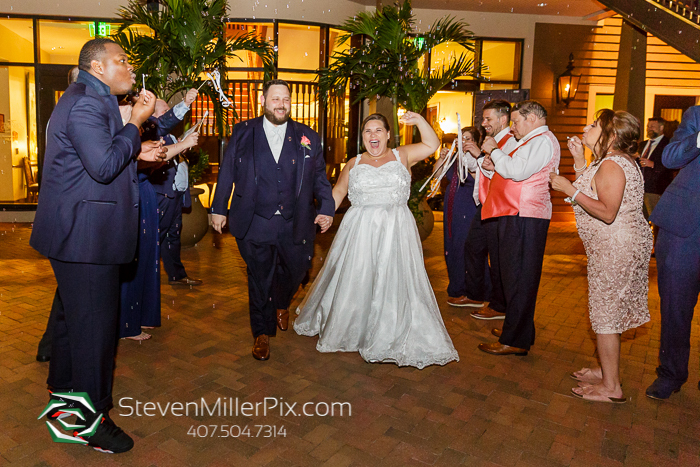 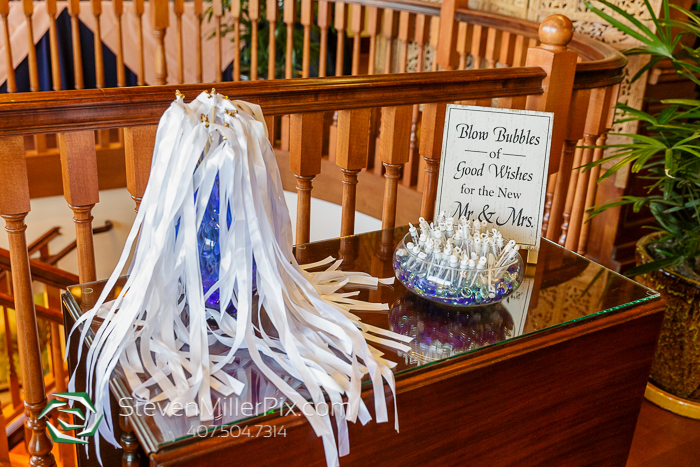 Christiana and Brad had a bubble and streamer exit as they walked away into the night! 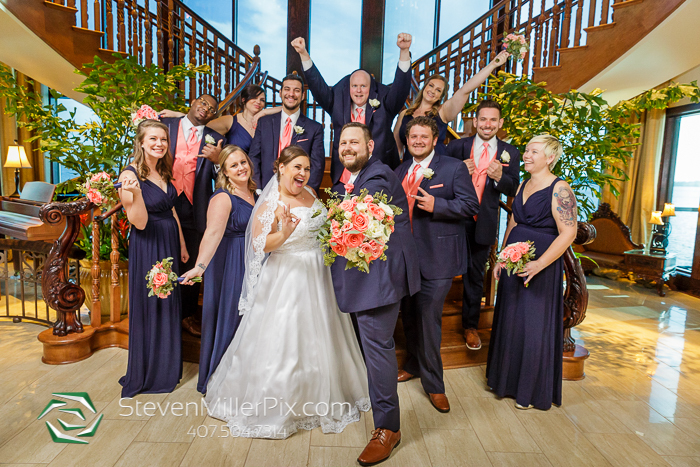 It was such a fun day, and we wish them SO MUCH happiness in their future together! 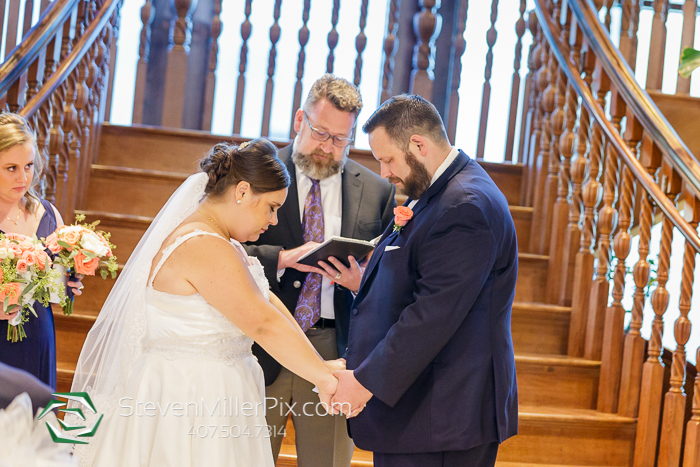 Thank you for letting us share it with you! 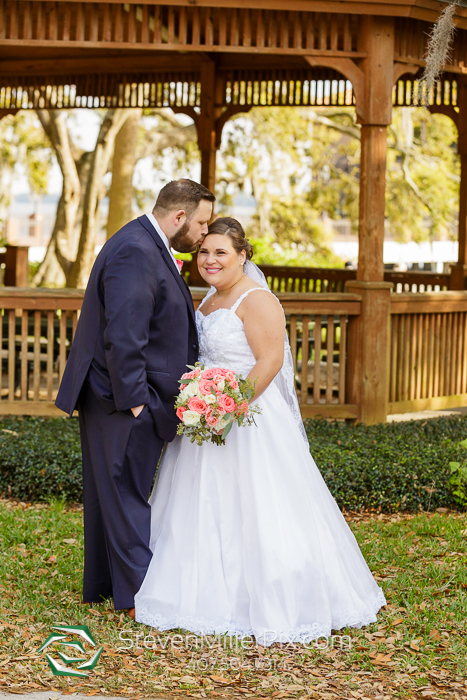 Wedding Floral Arrangements: Lavender and Lace Wedding Florist! 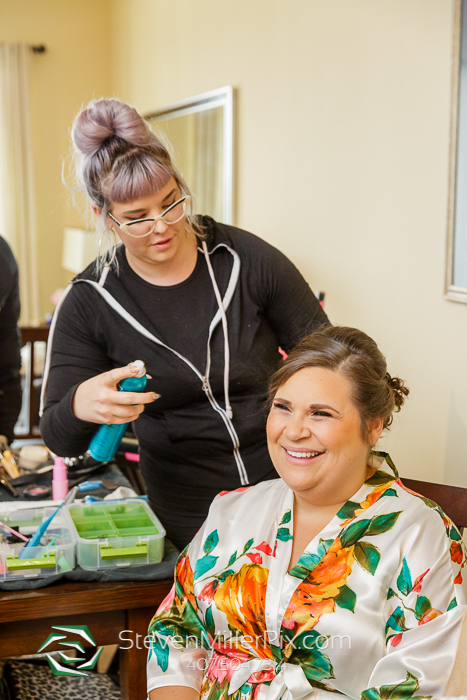 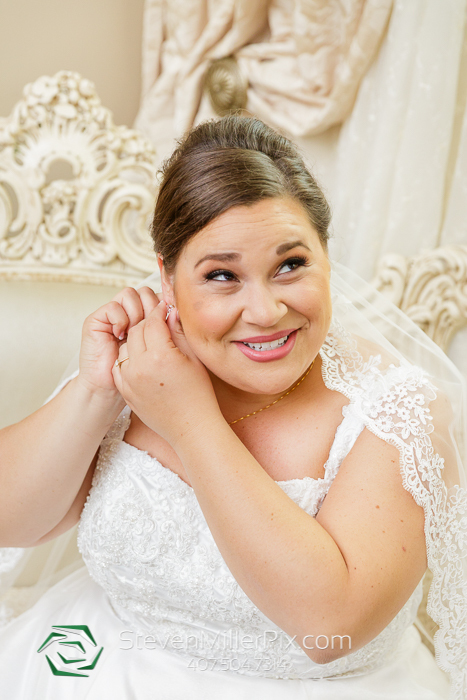 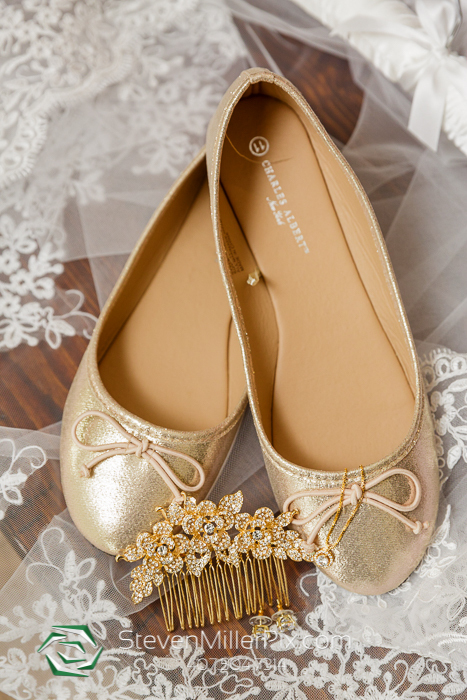 Wedding Hair & Makeup: Flawless Faces by Alicia!